Oleander (Nerium oleander) is an evergreen flowering shrub with dark green leaves. It typically grows in a large mound that is almost as wide as it is tall, but some of the taller varieties may be pruned into the form of a small tree. Oleander is available in a wide variety of cultivars that differ in both their mature height and their flower color. However, due to its toxicity, planting oleander in areas where children or pets play is not recommended. Full-height oleander can be an imposing presence in the landscape. Oleander is sensitive to cold and grows only in U.S. Department of Agriculture plant hardiness zones 9 to 11. In USDA zones 9b to 11, it will flower all year long. In USDA zone 9a, it will likely not flower in the winter; it is also common for plants in this zone to suffer some damage during cold snaps. Some cultivars are hardier than others. "Hardy Red," a single-flowered red cultivar, for example, does well in the coldest parts of oleander's range, but "Petite Pink" and "Petite Salmon," both single-flowered pink cultivars, are sensitive to cold and are best grown in sheltered locations in USDA zone 9. A typical full-height oleander cultivar will grow to between 8 and 12 feet high. Some individual shrubs may not attain that height, staying as low as 6 feet high. In a protected location and under ideal conditions, larger varieties may grow as high as 20 feet. The plants tend to grow quickly, putting on between 1 and 2 feet of height each year. "Calypso," a cultivar with single red flowers, is one of the taller varieties, commonly reaching between 10 and 18 feet, and "Sister Agnes," a cultivar with single white flowers, grows to between 10 and 12 feet in height. 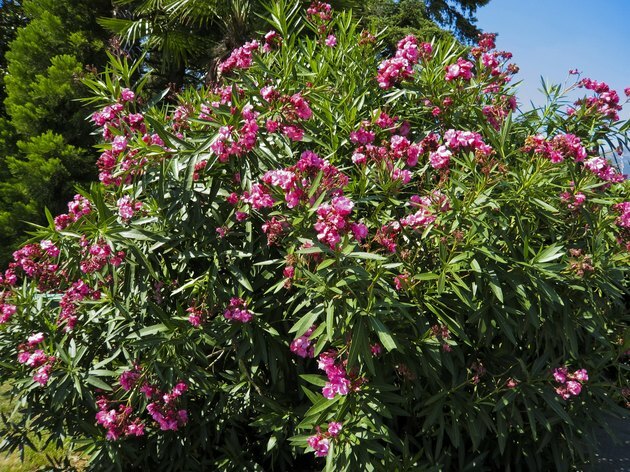 The smallest oleander cultivars attain only a fraction of the height of their taller relatives; dwarf varieties may stay as low as 3 or 4 feet high. 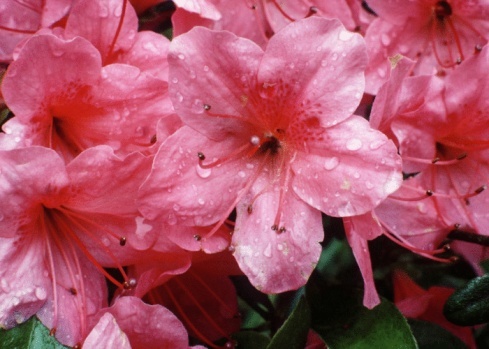 "Petite Salmon" and "Petite Pink" will grow to about 4 feet but can be kept to around 3 feet with light pruning. "Algiers," a cultivar with single dark red flowers, is a bit taller, reaching between 5 and 8 feet, but it still maintains a lower profile than most full-height varieties. 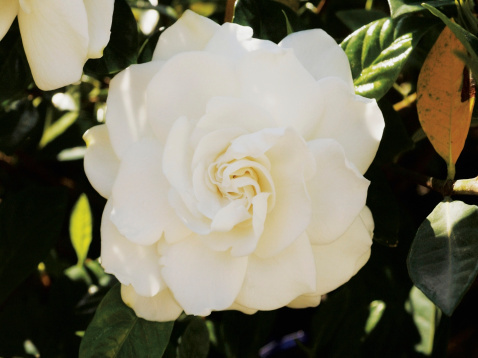 "Turner's Sissy King" is a single-flowered white variety that reaches between 3 and 5 feet in height. All parts of the oleander are extremely toxic, and an awareness of the danger is crucial to keep everyone, especially children and pets, safe from exposure to its toxins. Chewing on its stems, leaves or flowers, even for a short amount of time, can produce a severe reaction and may even be fatal. Burning cuttings from the plant will produce toxic fumes that can also cause a severe reaction, and sensitive individuals may experience skin irritation if they come into contact with the plant's sap. Wear gloves and eye protection while pruning to protect yourself from exposure to the sap.